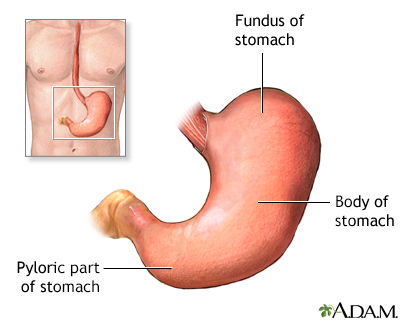 The stomach connects the esophagus to the small intestine, and functions to break up food into small particles that can be absorbed by the small intestine. 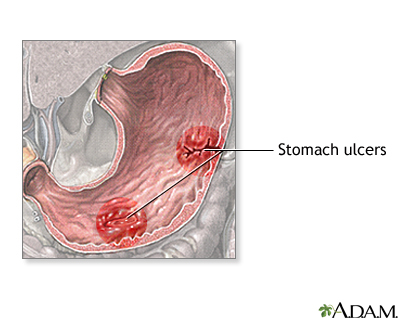 In cases of chronic stomach problems (such as ulcers), or obesity or cancer, partial or total removal of the stomach may be indicated. 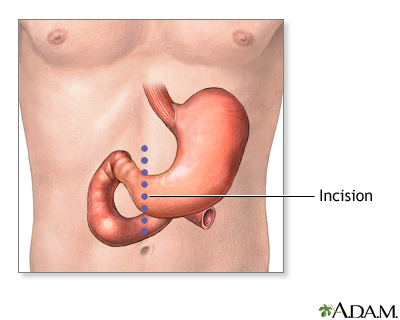 An incision is made in the skin over the pyloric region of the stomach. 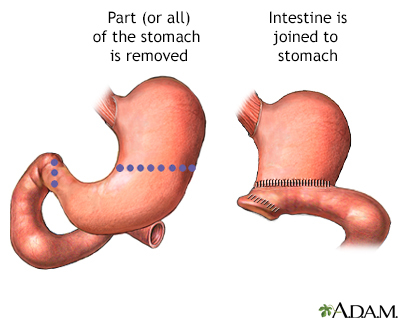 The diseased portion of the stomach is removed. 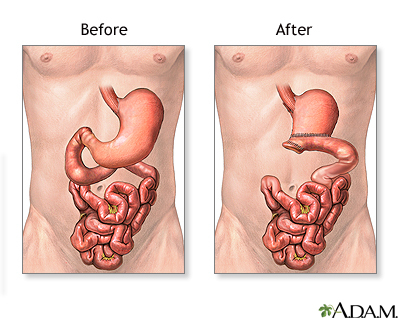 The small intestine is attached to the remainder of the stomach to maintain the integrity of the digestive tract. The patient will be on nasogastric tube suction to keep the stomach empty and at rest after surgery. After several days, and when the stomach starts to function normally again, the tube will be removed and the patient will begin ingesting clear liquids and gradually progress to a full and normal diet.